WOW! If you're looking for a SUPER STEAL, Amazon has been HOT lately. 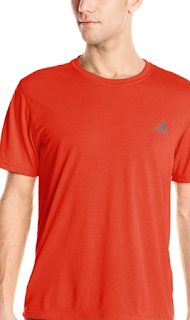 Right now, these Adidas Performance Shirts are 72% off! You can score for less than $7 right now. Want to hear the BEST news?!!? There are multiple sizes and colors to pick from! Don't forget, Amazon prices can change at any time. So, if this deal has your name on it, GRAB it QUICK!